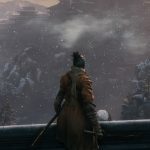 Sekiro does something that I don’t often see in contemporary games; it shows the narrative cost of the protagonist’s powers. Not the cost to the hero and their loved ones, themselves. I think we’ve all had enough of the Uncle Ben catechism. 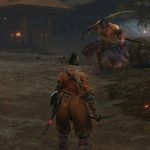 Rather, Sekiro is showing the cost of the hero’s powers in the context of the strangers around Okami. 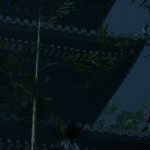 To date, I’ve covered how the game presents Dragon Rot as a mechanical outcome for Okami’s resurrections. Die too many times and the game makes things ever-so-slightly more challenging. The ‘why’ of Dragon Rot is masked in dialogue about blood stagnation, none of which really made sense to me while it was being explained. However, I was content to chalk it up to a downward spiral of debuffs and then get on with my day. Leave it to the Blind Old Lady, the woman who is convinced that Okami is her wayward son, to show the narrative cost. During my second conversation with her, I had a choice between taking a sample of her retched-up blood, as directed by Emma (Okami’s doctor) or doing nothing. I wanted to get rid of the Rot’s debuffs, so naturally I took the blood sample and returned to Emma. It is a choice so obvious it invites reflection on why it is even in the game. After a few more deaths, I returned to the monastery to find out if Emma had developed a treatment for the Dragon Rot. Much to my surprise, she presented me with a cure. I honestly thought the cure would involve convoluted quests, maybe a six-headed snake monster, or at the very least a disgruntled goat or two. Emma’s pathology bridged magic and science, and brought some clarity to the aforementioned blood stagnation. The reveal is that Dragon Blood isn’t an endless resource. Though it can eternally resurrect a person, there are limits. Too much use drains the charge that the Dragon Blood carries within an individual. Once the power runs its course (i.e. stagnates) it changes from a gift to a curse. To serve its master, the Dragon Blood will siphon the life force of regular people in proximity to the Dragon Blood revenant. In other words, once the blood that Okami carries stagnates, each of his resurrections steals the life force of people around him. The only way to purge himself of the negative impact of Dragon Rot is to return what he has taken. Okami heals himself by healing the people around him. I’ve seen a lot of things, but I don’t recall seeing that before. And with that revelation, I felt just a little bit guilty about taking the Blind Old Lady’s blood sample. I didn’t want to heal her. Healing her was the farthest thing from my mind. I saw she was sick, but I figured that was just a quick play for pathos. All I wanted was to get rid of the damn debuffs and get my skill point/money retention on death odds back to 30%. We could make an argument that the game was manipulating me into feeling things through the presentation of a non-choice choice. Regardless of the outcome of that argument, I walked away from that scene feeling like Okami is a slightly better person than I am. 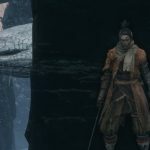 For all the sword art and blood-splosions, there is now a clear narrative through-line for Okami: heal the people around him and protect Lord Kuro. 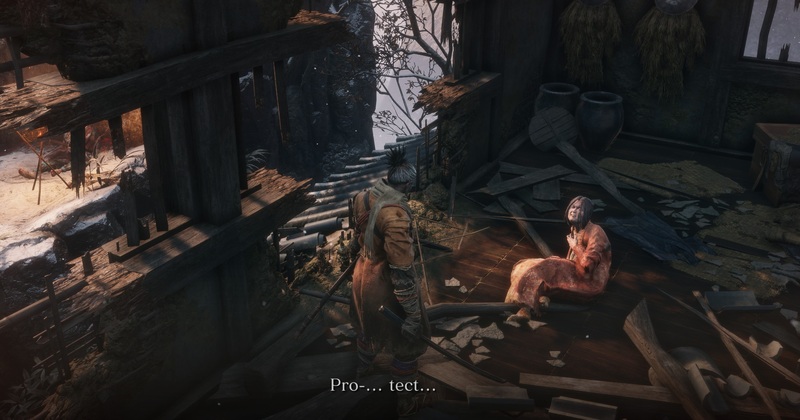 That’s another point for you, Sekiro. It’s also one more reason why this game will break my damn heart if Okami turns out to be the bad guy.